Katherine Wintsch shares her broken, busted up journey on her way to becoming whole. 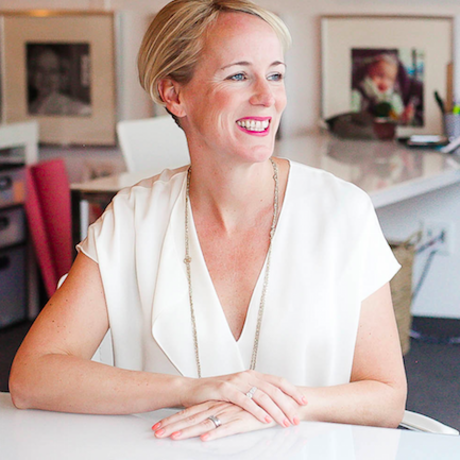 After 10+ years studying mothers around the world and becoming one herself, Katherine launched The Mom Complex, Inc. in order to develop better products and services to make the lives of mothers easier. Bound and determined to make an impact on the world, Katherine is seen as a trusted advisor by companies such as Walmart, Unilever, Johnson & Johnson, The Discovery Network, and Playskool. Katherine’s sought-after research and expertise has been featured by The Today Show, Fast Company, The New York Times, and on the front page of The Wall Street Journal. She regularly writes about the topic of modern motherhood on her blog, In All Honesty, as well as for The Huffington Post and Working Mother Magazine. Although she loves her innovation work, Katherine’s true passion is impacting the lives of mothers directly, which she does through both her writing and her public speaking. Known for her ability to have audiences laughing one minute and crying the next, Katherine is a thought-provoking writer and sought-after public speaker. When she’s not helping mothers help themselves, you can find her on the tennis court, in a yoga studio or meditating first thing in the morning before the house wakes up and turns to complete chaos.